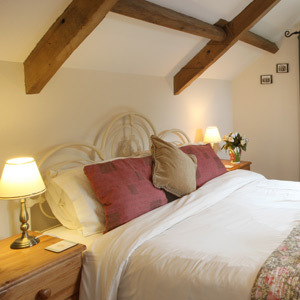 Our self catering accommodation nestles on the eastern slopes of the Swansea Valley, a natural feature that connects the Gower Peninsula to Brecon Beacons National Park. To the south – a seaside city and its golden beaches. To the north – stunning mountain scenery. Your bed? Slap bang in the middle. Known as Cwm Tawe in Welsh, the valley has many attractions and is a wonderful place to base yourself for a holiday in Wales. 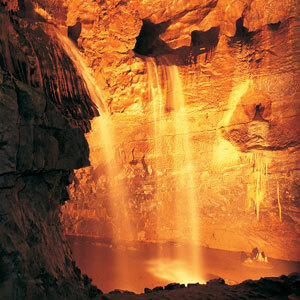 The following Swansea Valley attractions are all within 20 minutes of our accommodation. The Liberty Stadium – Premier League football and Heineken Cup rugby with Swansea City and the Ospreys. Craig Y Nos – once the amazing castle home of the worlds most highly paid singer, Adelina Patti, and the first house in Britain to have electricity. The stunning Swansea Valley landscape was carved thousands of years ago by enormous glaciers as they moved southwards from the snowfield in the Black Mountains, leaving behind dramatic and steep valley sides with cascading mountain streams and impressive waterfalls. Our cottages enjoy a secluded and tranquil location on a working hill farm, two miles from the town of Pontardawe which has pubs, restaurants and a 24 hour supermarket. There is a conveninece store, pub, post office and fish and chip shop in the village of Rhos, just a mile away. There area is very popular with those on a walking holiday or a cycling holiday. Our guests can walk or cycle from their accommodation to the Swansea Canal Towpath which is part of the National Cycle Network and runs down the Swansea Valley to the coast. The canal was originally built in the late 18th century to take coal to the port in Swansea. The local council have a great leaflet that gives information about the Swansea Valley, which includes pictures taken at Plas Farm, home of Swansea Valley Holiday Cottages. Th valley is made up of 1 town (Pontardawe) and 14 villages. We are situated in the hamlet of Cilybebyll.